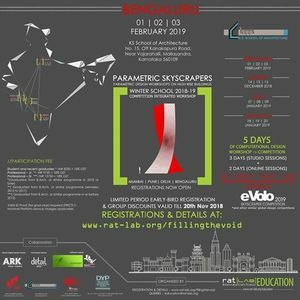 This PARAMETRIC SKYSCRAPER / HIGH-RISE workshop by rat[LAB] is a 5-days competition-integrated program held at KSSA in collaboration with eVolo (US based organization) Skyscraper Competition’19. 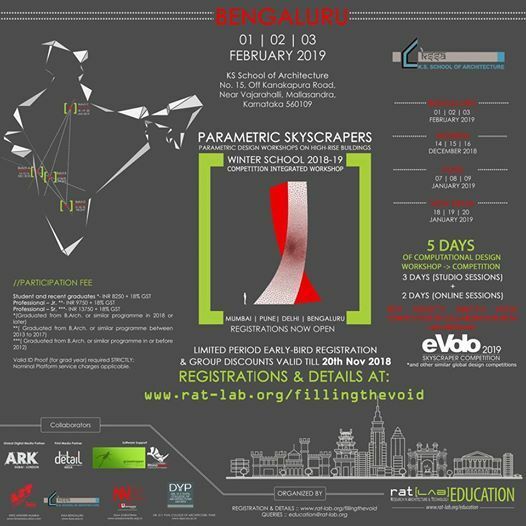 The workshop is intended as basic & intermediate level course to design skyscrapers and high-rise developments using parametric tools and techniques along with guidance in documentation and presentation for the competition – eVolo Skyscaper 2019. Selected student’s work will be endorsed for eVolo Skyscraper Design Competition’18. Check out the posters for registration details.